It’s a whole different spin on testing your math skills! You determine the correct digit balls to drop into the slotted wheel to solve the given answer. With only a small set of digit balls to choose from, you must use your problem solving skills to determine the right combination. Great math fun for the whole family! 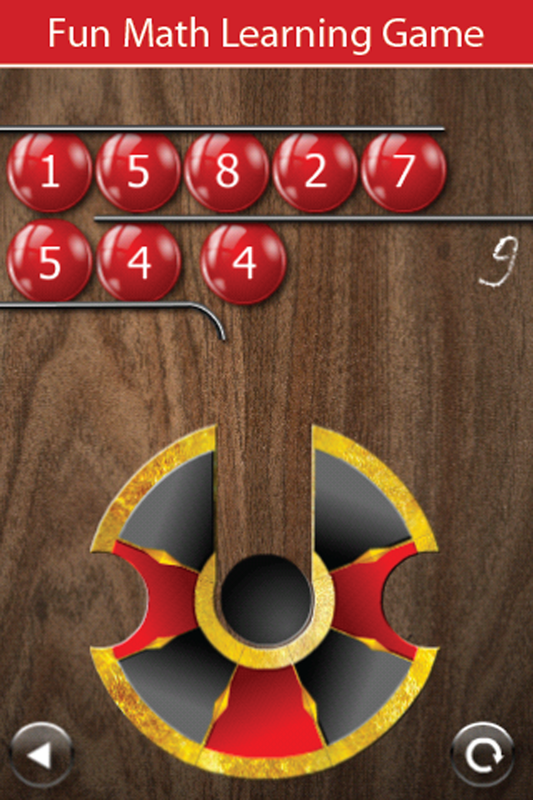 •Added challenge with two different colored digit balls that add or subtract depending how they are used. Download Math Wheel: Number Cruncher for FREE!